Here it is, folks -- and in a nice earthy brown to boot. 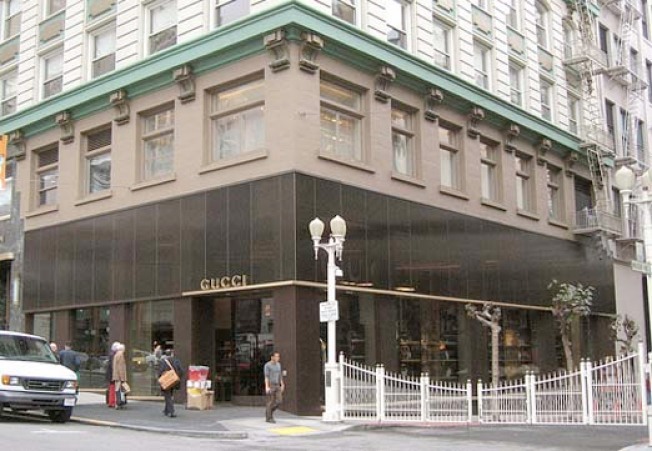 A Curbed operative spotted the new Gucci "Eco Flagship" store greening up at 240 Stockton. So much for that June opening, but in the nick of time for the holiday shopping slag. The Energy Star rated space shaped up some months behind schedule, but it looks like the slow economy might've taken a bit of a toll on the luxury outfitter. Pro tip: brown is the new green is the new black.